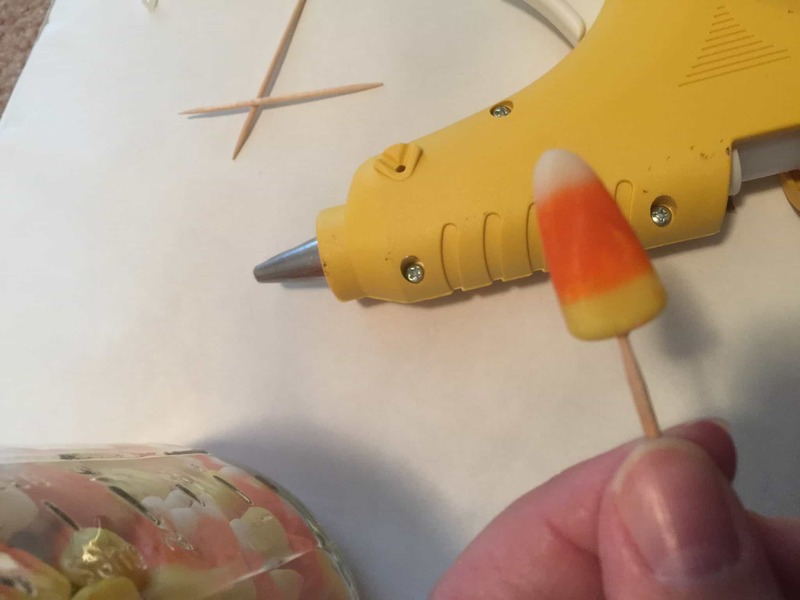 Use a toothpick to make a hole in the end of candy corn. 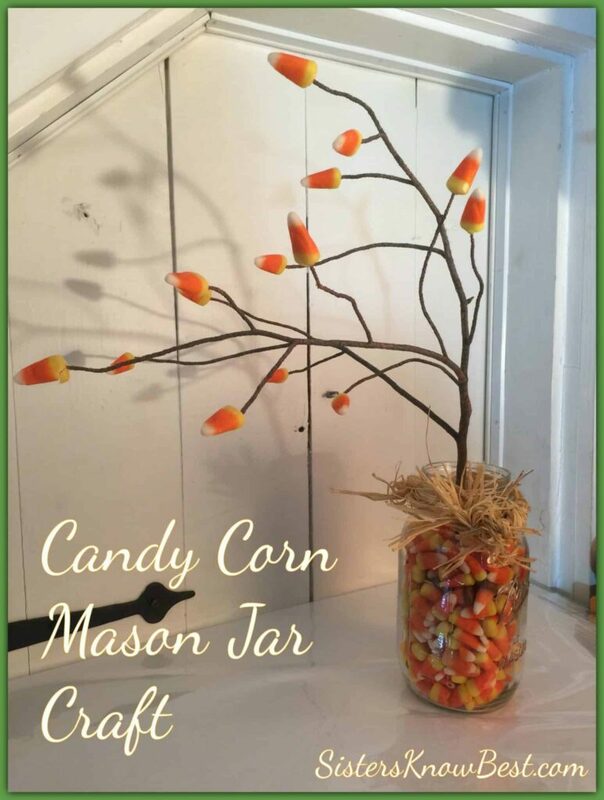 Place a small amount of hot glue in hole and gentlypPush candy corns on to the ends of the branch. Tie a ribbon, piece of burlap or hot glue a strip of decorative paper around the middle of the mason jar. Add candy corn to the mason jar and place branch in middle. You can use beans or stones in the base of the mason jar for added weight if needed. 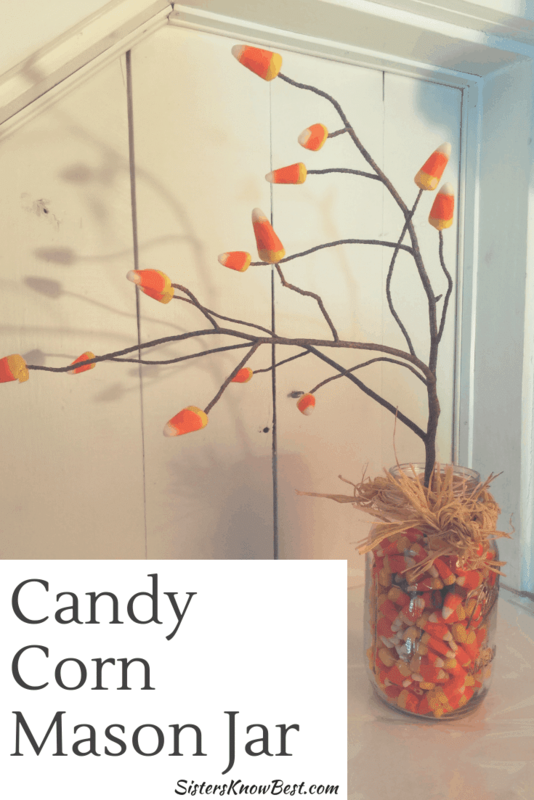 Layering with candy corn adds a cool effect! 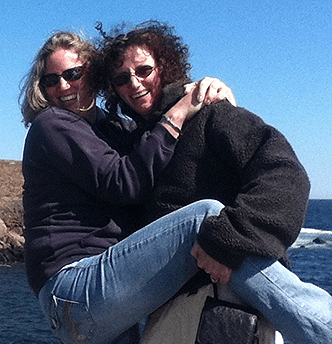 Make sure the branch selected is not too lopsided or large. 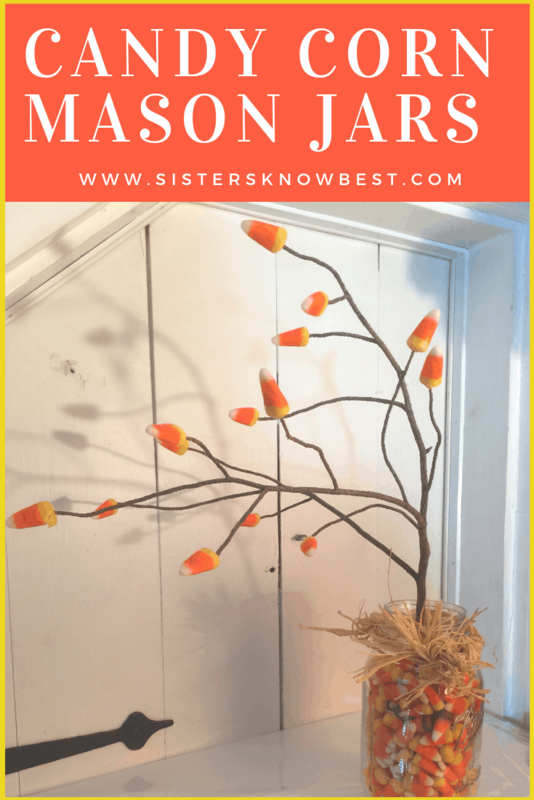 We love an easy and adorable craft like the rest of you! 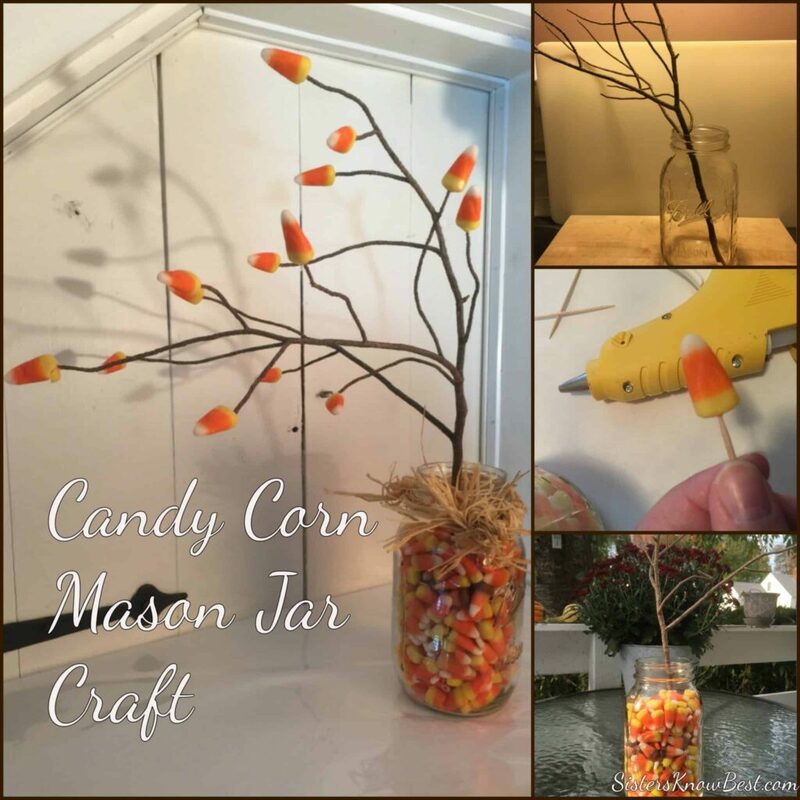 Check out some of our other mason jar crafts.